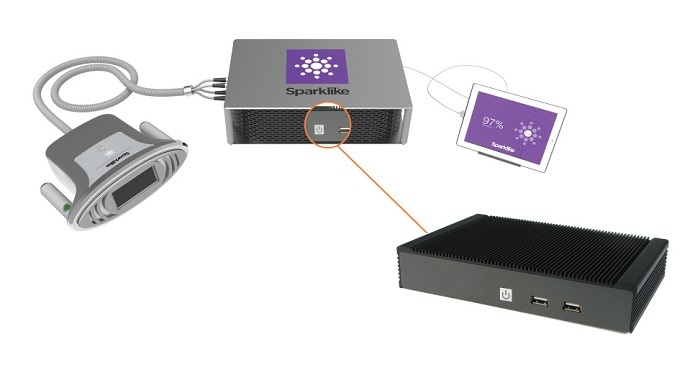 Sparklike (www.sparklike.com) is the developer of the world’s first non-destructive argon analyzer for insulated glass windows and doors, the Gasglass Laser. Since 2001, their products have been sold worldwide, and are used daily by the world’s leading testing laboratories and insulated glass and window manufacturers. The Sparklike Gasglass product line is based on the company’s proprietary and patented technology, which allows users to test the concentration of insulating gas inside insulated units without having to break them. This unique non-invasive testing allows Sparklike customers to deliver pre-tested products, test already installed units or perform long term testing at their production facilities. In 2015 Sparklike launched the Gasglass Laser to help in solving many of the testing challenges faced by insulated glass manufacturers. The new technology allows for the testing of complicated structures, such as energy efficient triple glazed units. The Gasglass Laser fires a beam into the insulated glass (IG) and then measures the reflected beam, testing for the amount of oxygen, argon, krypton, xenon present in the insulation layer. For the Gasglass Laser, Sparklike needed a small industrial PC that would handle the necessary data processing inside the gas fill analyzer. Working with EU Account Manager Raymond Bruitzman, Kai and the team at Sparklike settled on the ML300 Industrial PC platform for the Gasglass Laser project. The ML300 is responsible for running the measuring control and analyzing software over a windows embedded 7 platform. The system controls the drivers and engines, collecting data from a data acquisition device, running the data analysis and user interface, and communicating over an Ethernet and/or USB connection.